The independent NPD Group recently assessed March U.S. gaming sales, placing Nintendo systems and games at the top of the list. The DS/DSi and Wii took the top two spots in platform purchases, moving 700.8K and 557.5K units respectively, with Sony's PSP system selling a comparatively unsubstantial 119.9K units. The Xbox 360 and Playstation 3 hold the third and fourth spots with a thinner margin betwixt themselves and the Big N, the two selling 338.4K and 313.9K units each. According to a recent press release, these DS/DSi sales are the best of any portable system in the month of March. Games on Nintendo platforms took four of the top ten spots in U.S. sales as well in this past month. Pokémon SoulSilver and HeartGold placed first and fourth with 1.02M and 761.2K units each while New Super Mario Bros. Wii ranked at number five (457.4K units) and Wii Fit Plus with Balance Board came in at six. Battlefield: Bad Company 2 (Xbox 360, Playstation 3), Final Fantasy XIII (Xbox 360, Playstation 3) and God of War III (Playstation 3) filled out the remainder of the top five. According to the independent NPD Group, which tracks video game sales in the United States, the Nintendo DS™ family of hand-held systems – including the new Nintendo DSi XL™ – set an all-time record for portable system sales in the month of March, selling more than 700,000 units nationwide. Sales of Nintendo’s Wii™ console reached nearly 560,000 in March as post-holiday inventory began to improve. Nintendo systems accounted for 59 percent of all video game hardware sold in March. Four of the top 10 best-selling games in March play only on Nintendo systems. These include Pokémon™ SoulSilver Version at No. 1 with more than 1.01 million units sold, Pokémon HeartGold Version at No. 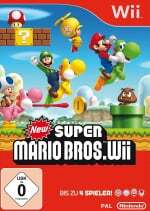 5 with more than 761,000 units sold, New Super Mario Bros.™ Wii at No. 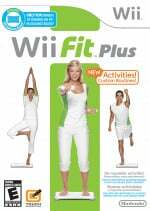 7 with more than 457,000 units sold, and Wii Fit Plus™ with Wii Balance Board™ accessory at No. 10 with more than 339,000 units sold. Who'd a thunk a time would come when news of Nintendo pwning the charts would seem boring. 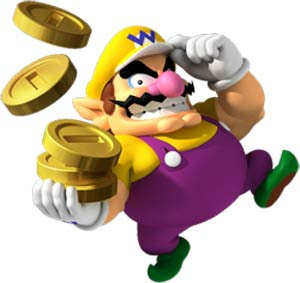 Wario's arms getting tired of money? Blasphemy! It's so sick how much the DS continues to sell. @ Token Girl: Because unlike all of the other gaming hardware (including the Wii) the DS line has the largest and well-rounded library of them all. It doesn't seem to matter how many times Nintendo refreshes the DS hardware, you just can't get your Suikoden, Final Fantasy, Modern Warfare, Chrono Trigger, Mario Kart, New Super Mario, Personal Trainer, Phoenix Wright, Touch Generation, Pokemon, Trauma Center (and God knows how many other series) on a single device. This thing is a shrunken SNES/Super Famicom, Playstation and Nintendo 64 in one as far as software support and hardware capabilities (with the dreaded Petz/My Sims series thrown in and limited storage of the media). Unfortunately I'd like to know how many of those systems are replacement systems for worn DS Lite/DSi units. From the DS Lite's hinge cracking to the DSi's non-responsive shoulder button issues, I wouldn't be surprised if 1-3% of March's figures account for out-of-warranty replacements. @blackdragon I've sent my ds in 3 times now. @lucario: i've sent mine in once, but since the year wasn't up yet, it was still covered by warranty. same for yours, right? i wonder if nintendo will be in the top 10 (at least) on the sales charts in may/june from super mario galaxy 2 and metriod:other m.
Same here. Sent one ds in for repairs. sold another as is to game stop for 25 store credit. Both were ds lites. Have a dsi now for CHRISTmas!! Oh yeah forgot gave one away to a friends son with a glued hinge.